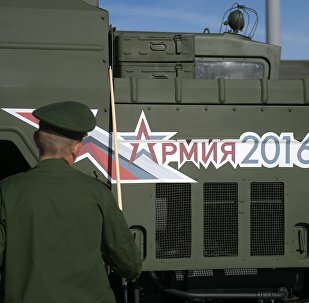 The military forum, which is set to take place on September 6-11 in Kubinka, a western suburb of Moscow, will bring together representatives from the Russian defense industry, research institutes, universities, as well as foreign companies. Over 800 Russian and foreign participants will mount some 7,000 exhibitions throughout the week. The forum's participants and guests will attend a number of conferences and round-table discussions to discuss the future development of military technology. 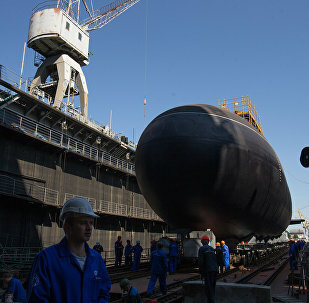 The Russian Defense Ministry has expressed interest in the floating nuclear power platform to deliver and charge underwater drones, the platform’s designer said Wednesday. Russian Defense Minister Sergei Shoigu on Sunday awarded the top prize of the Army 2016 international military and technical forum for achievements in the development of weapons, military and special equipment to the Kalashnikov Concern. 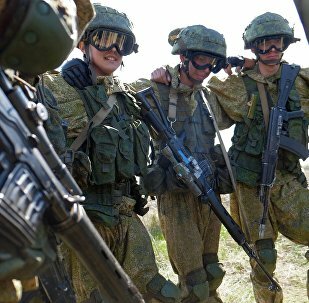 Russian Defense Minister Sergei Shoigu thanked foreign participants of the Army 2016 international military forum hosted by Russia. As self-sufficient combat systems gradually become more common and transition from the realm of sci-fi movies, Russia has unveiled the Vikhr robotic system which to a certain extent looks like the T1-8 from the film Terminator 3: Rise of the Machines. At the Army-2016 forum in Russia, the Uralvagonzavod Corp. finally unveiled its new brainchild, the 120mm-wheeled self-propelled howitzer called "Phlox". Sputnik learnt about the vehicle's capabilities firsthand. 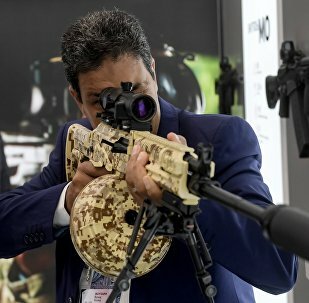 The world-famous Russian Kalashnikov Concern stole the show at the Army-2016 forum in the Moscow Region unveiling a new string of its deadly weapons including the RPK-16 machine gun, the AK12 and the AK15 assault rifles. A Sputnik reporter visited the Alabino shooting range to see the demonstration of the arms' capabilities with his own eyes. The International Training Center for Special Forces in Russian Chechen Republic's town of Gudermes, showcased at the ongoing Army-2016 military expo, attracted much attention from official delegations, law-enforcement agencies and private military enterprises, head of the Chechen Republic on the power block Daniel Martynov told Sputnik Friday. Russia' military industry has begun drafting technical specifications for a proposed new airborne infantry fighting vehicle design, the so-called BMD-5, a representative from the Volgograd Tractor Plant said on Friday. Several hundred T-90 tanks will be modernized in the near future, the Russian Defense Ministry’s chief of armor and vehicle department told Sputnik on Friday. An unmanned robotic version of Russia’s advanced T-14 Armata battle tank will be created in 2018, the Russian Defense Ministry’s chief of armor and vehicle department told Sputnik on Friday. 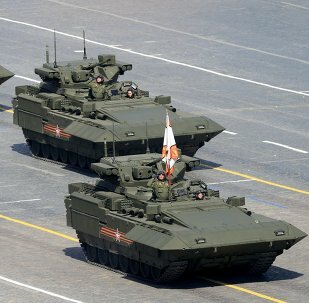 The Russian Defense Ministry will put into service three combat vehicles built on the basis of the country’s advanced Armata platform, including tanks, infantry fighting and repair vehicles, the Russian Defense Ministry told Sputnik on Friday. State tests of Russia’s T-14 Armata main battle tanks will wrap up next year, the Russian Defense Ministry said Friday. France’s Moret Industries Group believes that the anti-Russia sanctions should be lifted, a manager of Moret’s subsidiary Ensival Moret told Sputnik on Thursday. 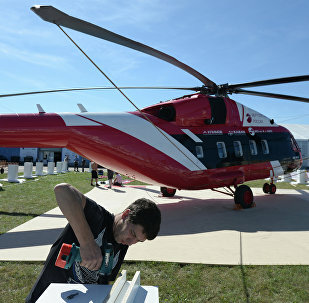 Mil Mi-38 transport helicopter modification will be created by 2018, the Russian Helicopters company said Thursday. Zimbabwean Defense Minister Sydney Sekeramayi said that the ground forces assets that have been shown at the Army-2016 international military and technical forum are very impressive. Serbia's Acting Assistant Minister for Material Resources Nenad Miloradovic said that the ongoing Army-2016 expo near Moscow is huge and very successful exhibition. Russia and Pakistan are insterested in Armenian automated complex for reconnaissance and artillery fire control. Russia's Afrikantov Experimental Design Bureau for Mechanical Engineering (OKBM Afrikantov) is showcasing its designs during Army-2016 international military and technical forum in the area of mobile power units with nuclear power modules aimed at assisting with the development of the Russian Arctic zone. Uralvagonzavod (UVZ) machine industry company signed contract with the Russian Defense ministry on the delivery of 42 self-propelled artillery to the Russian Armed Forces by 2019, according to the research and production corporation’s director.